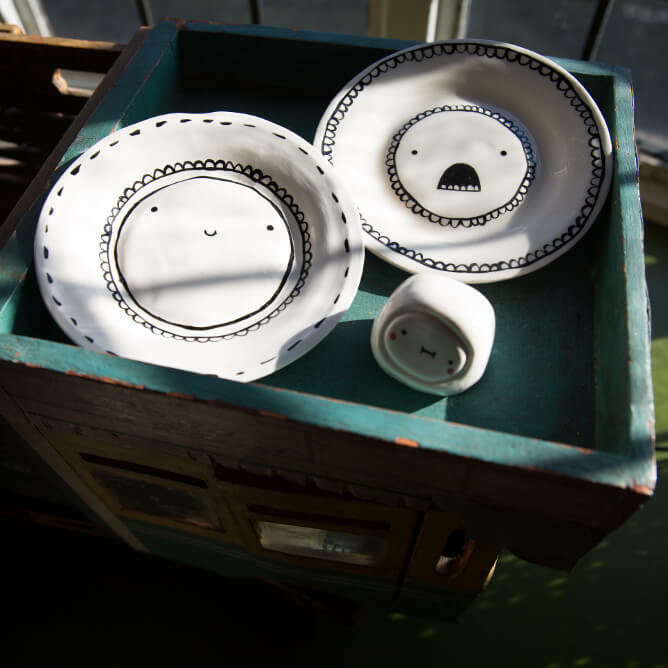 Adorable white ceramic tea plate with a cute handpainted design. 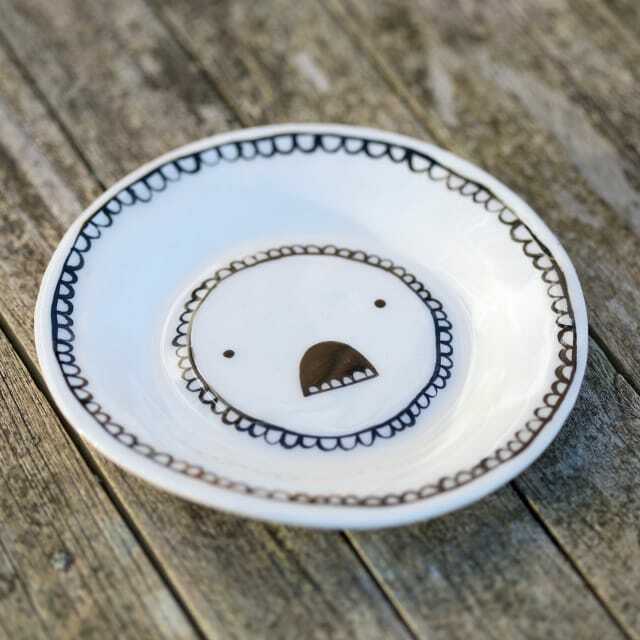 All my tea plates are made in limited batches using a shaped slab of earthenware clay, and then I hand paint their cute little faces (my favorite part of the process). 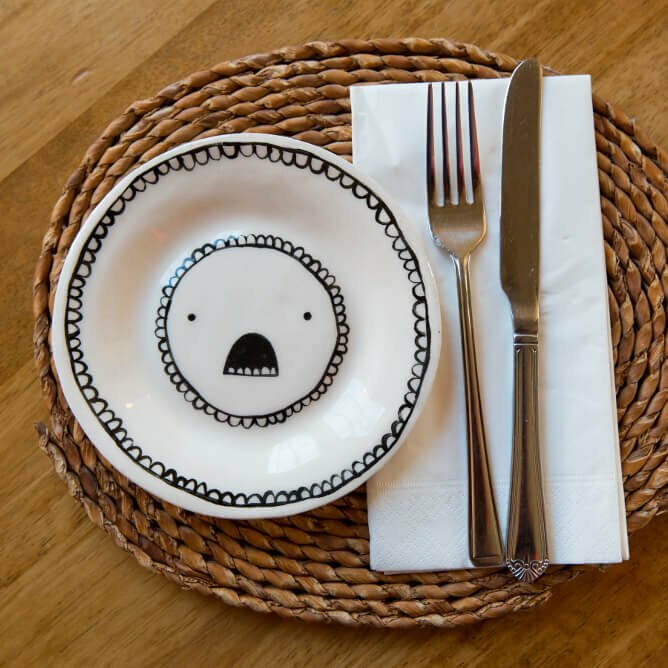 As each tea plate is unique it may differ slightly from the image shown.